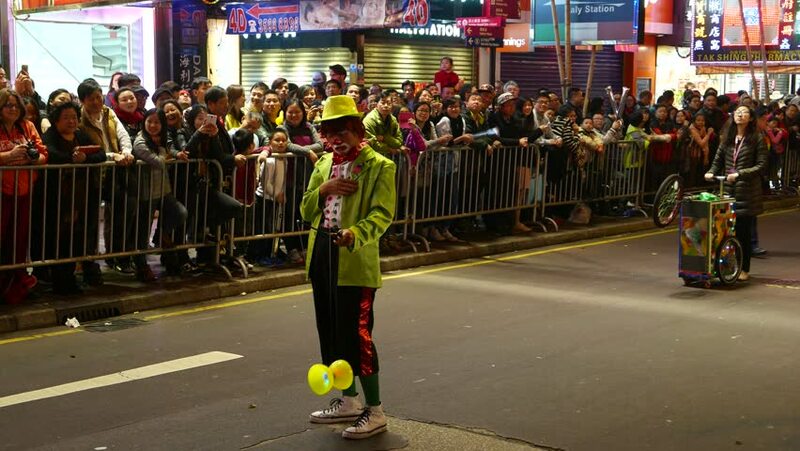 HONG KONG - FEBRUARY 19, 2015: Clown with big yoyo, show short performance, night street parade procession during Chinese New Year celebration in HongKong city. 4k00:28Happy dancers dressed pink parade during Carnival of Aguilas with costumes and feathers. A party with international tourist interest. Aguilas, Spain February 26th, 2017. 4k00:51HOLLYWOOD, CA - December 24, 2014: POV walk across crowded Hollywood and Highland Boulevard intersection at night. 4K UHD. hd00:35Srbija, Krusevac, 2014. Roadworks. Traffic sign for road work. Worker with green and red flags directing vehicles on the street. Machines preparing for paving street in the background. Repair. 25 fps. hd00:27LOS ANGELES - FEB 13: Colton High School's marching band celebrates Chinese New Year during Los Angeles Chinatown's Golden Dragon Parade on Feb 13, 2016 in Los Angeles. Slow motion shot. 4k00:33ASAKUSA, TOKYO, JAPAN - 25 AUGUST 2018 : Scenery of ASAKUSA SAMBA CARNIVAL. 4k00:31Brisbane - March 2018: People crossing street at busy part of CBD. 4K resolution.